With those words we are plunged into the dark, unforgiving world of Caged, a masterpiece of the women-in-prison genre from director John Cromwell. Caged is a tough, tragic, and intelligent film; it’s hell and gone from the cheap, lurid flicks that would define the women-in-prison genre during the exploitation heyday of the 1960s and ’70s. Not only is Caged a great drama, it’s also a feminist film. Some of the prisoners in Caged are victims of abusive husbands, many of them were forced into a life of crime by their husbands or boyfriends, and all of them are subject to a justice system run by men. Even the woman with the most power in the film, the reform-minded warden Ruth Benton (Agnes Moorehead), has to answer to the governor and his officious underlings. 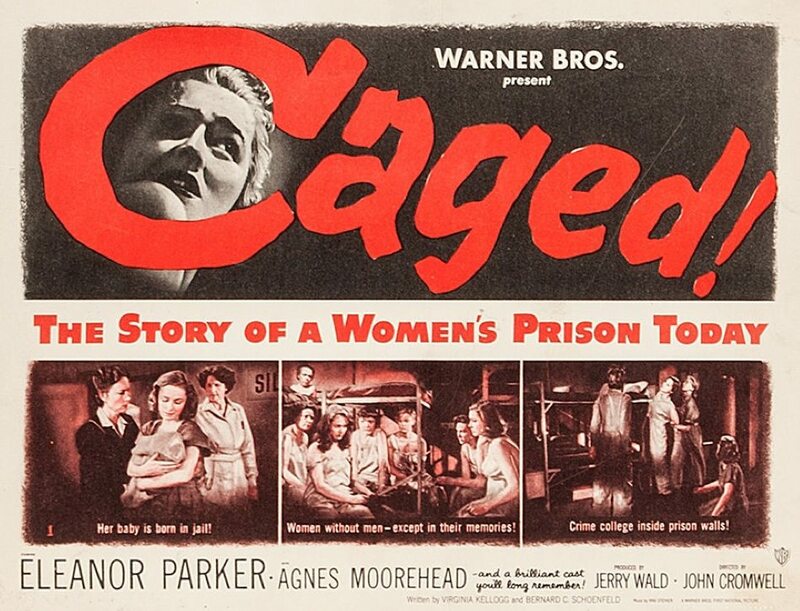 Caged wasn’t the first movie to feature scenes in a women’s prison, but as far as I can tell, it was the first women-in-prison film to take place pretty much completely behind bars. Caged, on the other hand, is a great film with great performances. It’s a tragic story about a young woman who barely needed rehabilitation in the first place, and yet has everything systemically taken from her until she is a hardened criminal with nothing but criminality to look forward to when she’s released. There are plenty of filmed women-in-prison stories that I’ve enjoyed, but I honestly can’t think of a smarter or more affecting one than Caged until the Netflix series Orange Is the New Black came around in 2013. However, I haven’t yet seen So Young So Bad, which was released in theaters one day after Caged. It’s the next film I’ll review, and we’ll see how it stacks up. 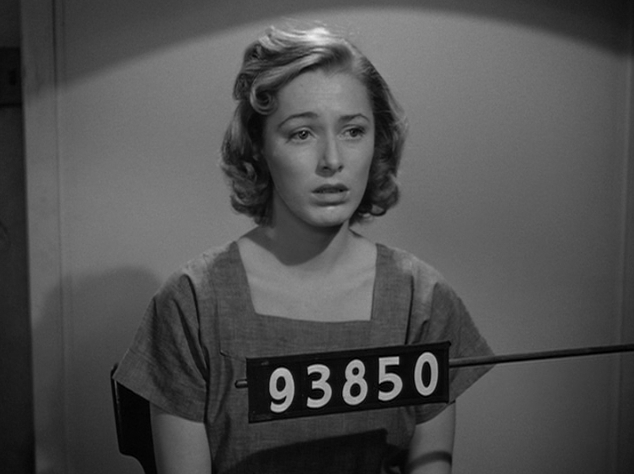 Caged will be shown on TCM Friday, February 20, 2015, at 1:30 PM (ET). Posted in May 1950 and tagged 23rd Academy Awards, Agnes Moorehead, Bernard C. Schoenfeld, Eleanor Parker, Film Noir, Jan Sterling, John Cromwell, Orange Is the New Black, Virginia Kellogg, Warner Bros., Women in Prison. Bookmark the permalink.